This practical companion to creating pastoral liturgies arises from the vibrant ministry of St Martin-in-the-Fields and is designed to aid local ministry teams in devising forms of worship outside and beyond the scope of authorised church liturgy, yet in sympathy with its purposes and structures. regular pastoral services, such as an informal Eucharist, worship for small groups or for a church away-day, a dementia-friendly service, a healing service, interfaith ceremonies. acute pastoral needs, such as services for communities affected by local tragedy, those experiencing loss through violence. outreach services in the open air or welcoming people into sacred space. special services though the year for Homelessness Sunday, Prisoners Week, Holy Week, Harvest, Remembrance, a community carol service and more. Each section is introduced with a reflection on theory and practice, and each item has a commentary on theological, liturgical and pastoral choices made with the aim of enabling practitioners to adapt and create liturgies for their own contexts. 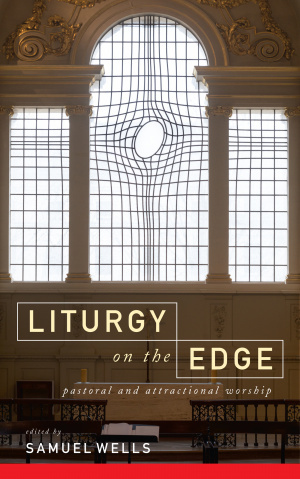 Liturgy on the Edge by Samuel Wells was published by Canterbury Press in March 2018 and is our 10736th best seller. The ISBN for Liturgy on the Edge is 9781786220394. Be the first to review Liturgy on the Edge! Got a question? No problem! Just click here to ask us about Liturgy on the Edge.